A full flavored Mexican casserole that will not leave you feeling hungry and the leftovers are great for freezing and eating later. 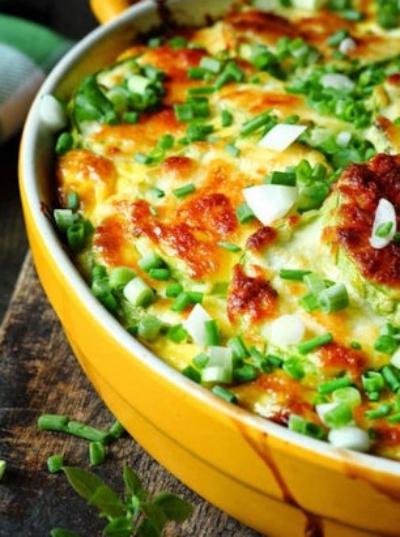 Serve with chopped green onions or lettuce and plenty of sour cream,, only 6.5 weight watcher points per LARGE serving! YUM!